I really don’t have much to say in this post, except Dylan Kuo and newcomer Hou Meng Yao were so adorable at the “The Legend of Mulan” (Hua Mu Lan Chuan Qi / 花木兰传奇) press conference! They may have just convinced me to at least watch a few episodes of this drama – which is premiering on JULY 18!! Now let’s just hope I can find somewhere to watch it, since I’ve never actually followed a ‘on air’ c-drama before? Did I mention it’s so cute that even with her high heels, she has to stand on her tiptoes to hug him? Havent seen these. Thanks Kat…love seeing them. I love Dylan Kuo in the character of Duo Lun(he acted so well, so charmed, handsome and cool) I like this drama so much, keep watching it four times. 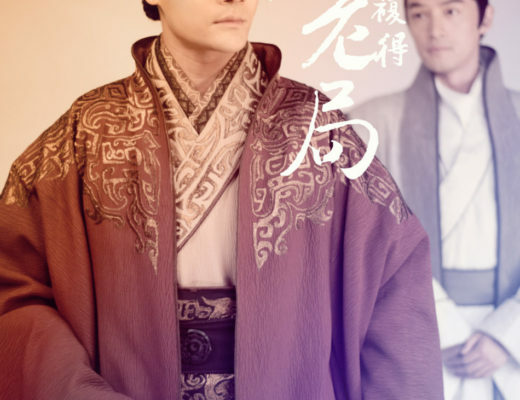 My first time seen Dylan Kuo in this drama, never seen him before, but he is an actor has given me a great first impression that makes me want to watch his series/films all the time. I have been watching Hong Kong, Taiwanese, Chinese and Koran series for years since I was 12 years old but have not never kept any actors in my heart until I have first seen Dylan Kuo in Legend of Hua Mulan I have found a first favourite actor ever. He is a star in my heart!